You know the feeling when you’re massaging in shampoo and your hair slowly feels thicker and… well, bigger? That’s the feeling I get every time I wash my hair with LUSH BIG Shampoo and I bloody love it. It contains sea salt, lemon, seaweed, some oils and a bunch of SLS. Yes, SLS as in Sodium Laureth Sulfate, the agent that makes shampoo foam, the agent that we all hate – yet seem not be able to live without. I’ll be blunt, I love shampoo that foams up no matter how bad it actually is for my hair. After my Aveda switch to shampoo, which is all natural, organic, SLS free – only beautiful things, using shampoo that actually foams is very refreshing. As it foams up very easily, a little goes a long way. Coming back to its ingredients list, the sea salt in the shampoo are huge chunks that strangely enough dissolve while shampooing your hair, without being harsh on the scalp. My scalp tends to get greasy very fast and this is the only shampoo I’ve tried in three years (yes, three years) that actually kept my hair clean for longer than just a day. I tend to wash my hair every other day and with this shampoo I can actually survive the day without using tons of dry shampoo. I love the scent, it’s quite fresh and not too floral/fruity like the standard drugstore ones. For me the only point of criticism is the packaging. I just don’t like the idea of scooping out shampoo from a pot, especially since water will make contact with the product, as it’s natural I’m not sure if that’d affect the products expiry date. 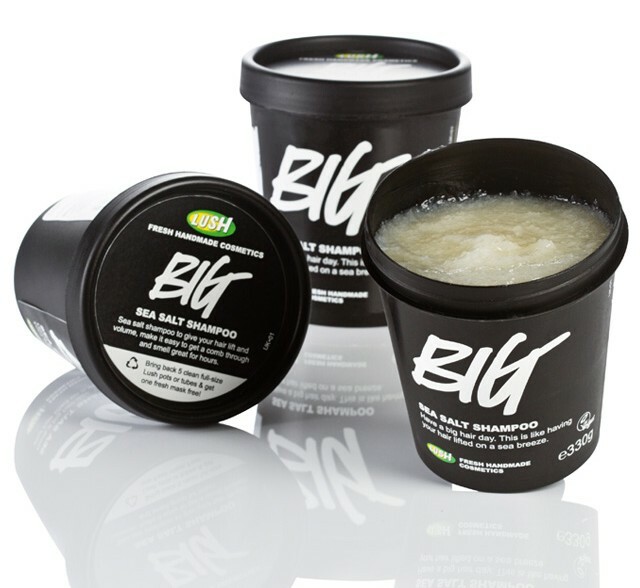 Have you ever tried LUSH BIG Shampoo and what were your thoughts on it?